Trade shows are amazing opportunities to build strong relationships between your business and new customers, as well as potential partners. The marketing world can be fierce, and having a cool trade booth and a well-established brand is not enough to bring down your competitors. According to various research and marketing experts in general, an accurate selected promotional item will boost the attendances traffic to your trade show booth, significantly increasing your sales. Let’s face it. We all love free stuff, especially if it is cool, attractive and most of all, useful. You might not be interested in the brand or the item at all, but if it is useful and free, you will for sure go hunting one for yourself. Not all promotional items suits all purposes. Select the best for your event. Attracting people to your show booth requires a well-designed strategy that must include giveaways. Try to use a promotional item that resembles your brand, product, services or business values. Avoid printing your logo on cheap promotional items. A cheap giveaway will project a cheap image of your business. A good tip is to try several items before making it your choice. The longer they last, the longer your brand will stay in your customer’s mind. According to a Georgia Southern University study, at least 71% of the people who received a free promotional item remembered the company’s name on the product. 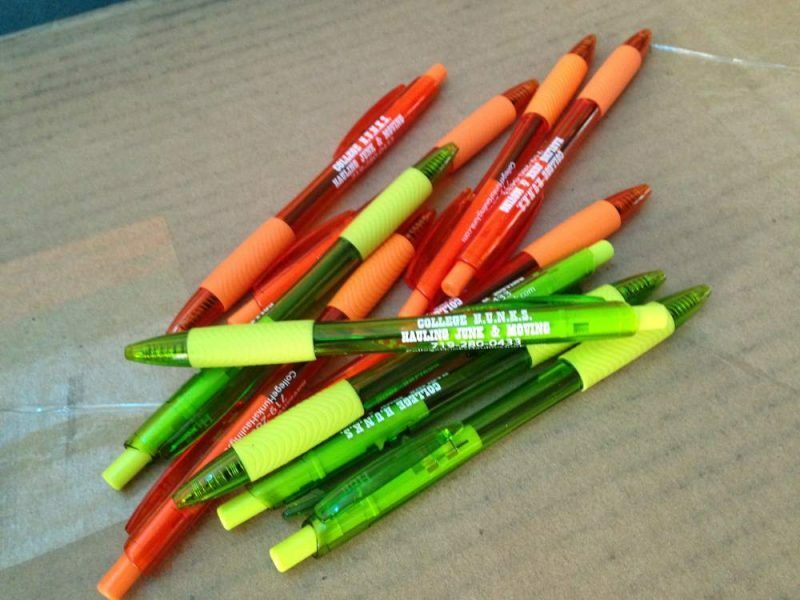 Most popular promotional products go from stationary items like pens and USB flash drives to clothing like caps and t-shirts. The trick is to know your target audience. Desktop items like power banks and stress balls can be attractive to corporate customers, but if you are targeting young people, maybe the cap or the USB flash or a travel mug might work better. No matter what, remember to select high-quality products. Another important consideration is to design or arrange your trade booth in a way that it works with your promotional products. Having giveaways just lying around doesn’t make the job. Look for ways to make them stand out. After working for decades with promotional products, trade show booth and all sorts of marketing products, signage, and business designs, at Summit Custom, we have learned how to effectively use giveaways in trade shows. Contact Us today and find out more about our promotional items.